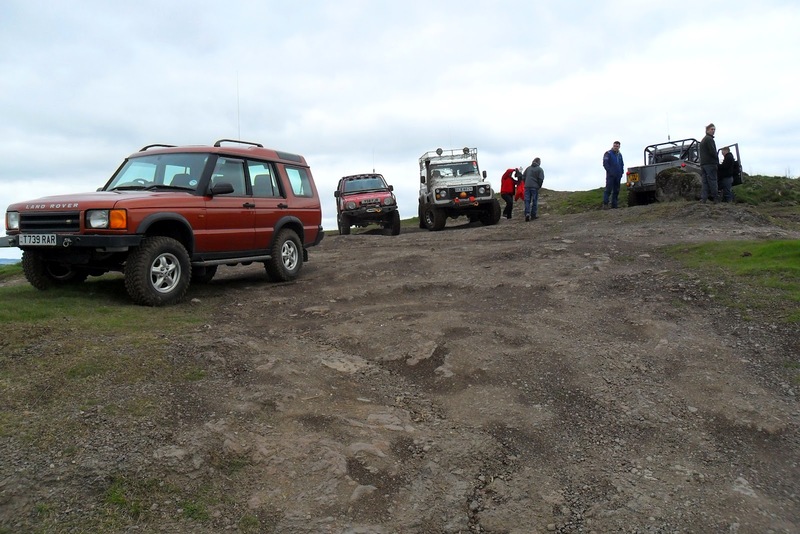 SWATC Club visited our site at the weekend, sadly with a very poor turnout, only two cars one of which was the organiser! Welcome back to the Club for the Balfours and Bruce Wood who rejoined last weekend after a short break of a few months. Still plenty of mud and water on the hill. Also a very good number of Roe deer seen on the west side on Sunday morning, just lying sunning themselves! I just got the camera out of my pocket when they saw me and cleared off pronto. The Scottish Mud Club came for a visit last weekend, lots of vehicles and lots of fun. Thanks to Debbie as usual who organises it all. We had the new Steed pickup local dealer launch last week, Auto Services Perth, Auto Ecosse in Dundee and Brenwood Motor Company from Kirkcaldy all took part and the vehicle was pretty useful on the hill.Well worth considering at the price and big and spacious inside.